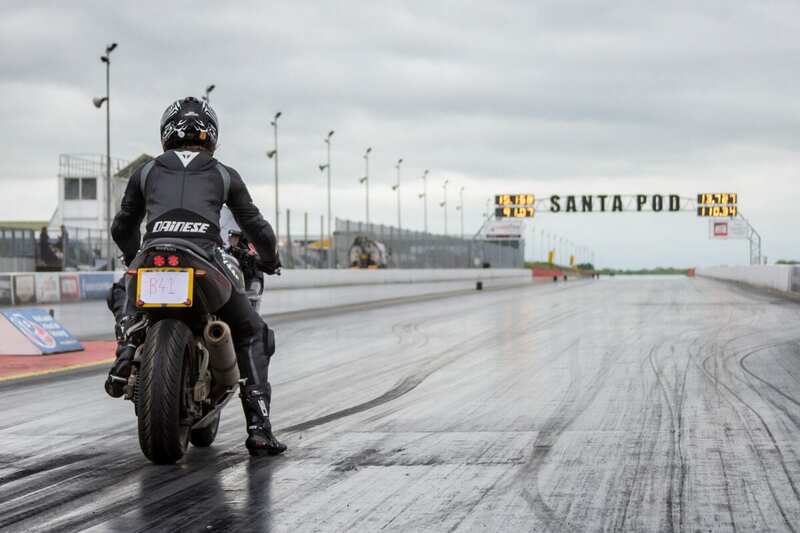 SANTA Pod Raceway is revving up for the return of Race, Rock ’n’ Ride, which takes place at the famous venue on Saturday and Sunday, May 20-21. The weekend-long festival of motorcycling – sponsored once again by Principal Insurance – is jam-packed with exhilarating action. New for 2017 is the addition of a national stage of the competition. It features a variety of machines from the ET Bike (entry level), right up to the Super Street Bike which is THE top modern-day drag racing classic. These machines are capable of some astonishing speeds, and you’ll also be blown away by the engineering on show in the pit area – open throughout the weekend. 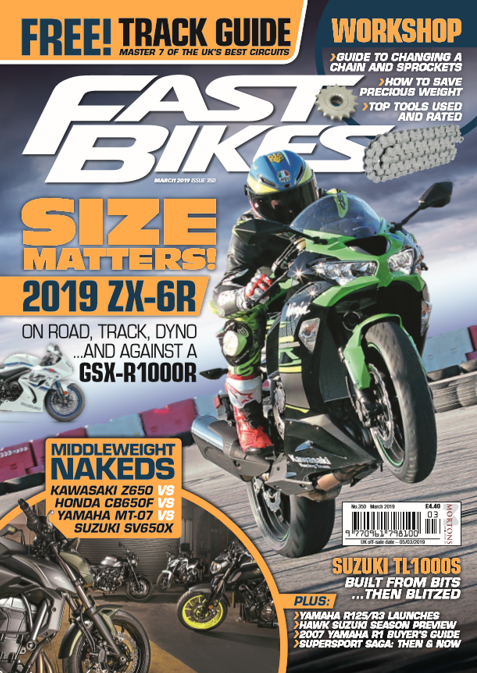 This specialist competition of bike mania allows you to challenge your two-wheel (or maybe three-wheel) machine in the ultimate test down the quarter-mile. It doesn’t matter if you’re a first-timer or seasoned expert, RWYB allows you to see what your bike is made of and post a time. And the best bit? It’s just £25 for a day of unlimited runs! Come and witness the incredible work of custom bike builders from across the country with a stunning display of machines organised by the UK’s leading custom magazine. New for 2017, the exhibition is also part of the BSH Custom Bike Building Championships. 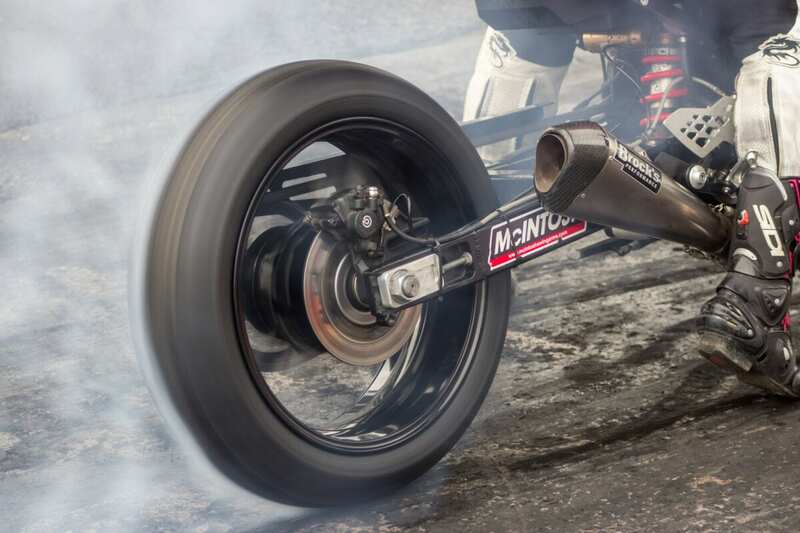 Scooters will be a major part of the show for the first time, and we’ll be seeing how fast they can go down the Santa Pod sprint track! Whether you ride a classic geared scooter or a modern auto example, you can get involved and set a time. But even if you choose not to enter, there’s still plenty to see in the Scooter Paddock run by the expert team at 100mph Scooter Club. 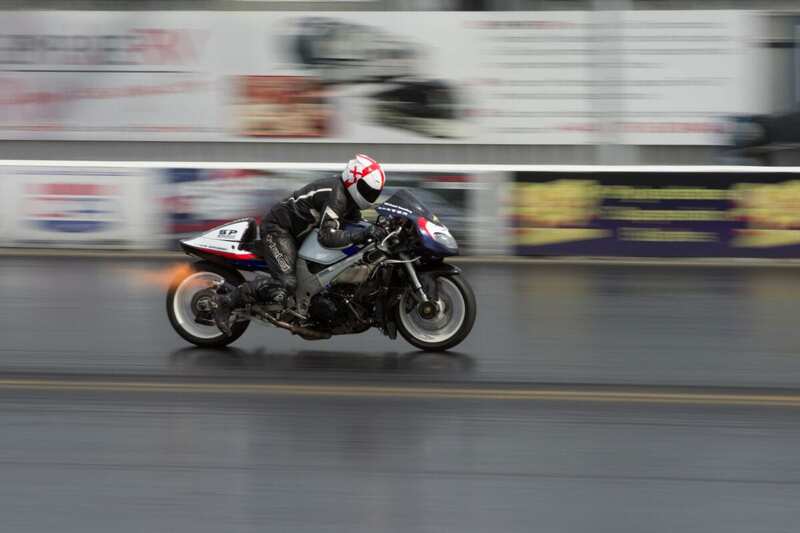 Adrenaline-fueled Eric Teboul holds the world record for being the fastest-accelerating man on two wheels, and he’s been known to reach speeds of 280mph across the quarter-mile in his hydrogen peroxide-powered machine. Eric will be tearing up the strip on both days of the event – it’s a sight you don’t want to miss (and if you blink, you just might!). A favourite of the Stafford classic bike shows comes to Santa Pod, as we fire up some iconic racing motorcycles (and scooters) in the GP pits. New riders can Get On! Got a friend of family member who wants to try two wheels but doesn’t know where to start? 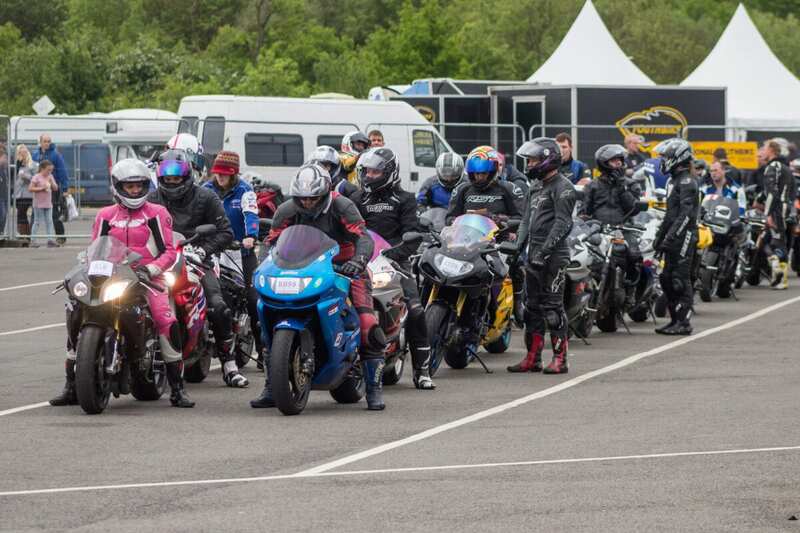 The motorcycle industry’s free try-out programme Get On! is coming to Santa Pod and open to anyone aged 14 or over, no previous experience necessary. Race, Rock ’n’ Ride is proud to be hosting Round 2 of the British Stunt Championships; jaw-dropping, two-wheeled entertainment not to be missed. Watch death-defying displays from the Broke FMX Freestyle Motocross squad as they set the bar sky high demonstrating heart-stopping stunts sprinkled with a heavy dusting of show stopping tricks. Podzilla, Santa Pod’s five-tonne Monster Truck, will be making its menacing appearance with car-crushing shows. Fireforce’s Jet Car will be bringing flame & thunder to the track with their magnificent jet-powered machine tearing up the track with five-second passes at more than 270mph. Drift Trikes, club stands, plenty of bargains in the trade area, DynABike performance testing, Wheelie Machine and even more displays of various makes, models and eras of motorcycles. Critically acclaimed tribute Limehouse Lizzy will headline the evening entertainment for weekend campers. The world-renowned Thin Lizzy act is sure to be a high-octane crowd-pleaser in Fuelers Bar, along with rock band Anchors and Alibis and TotalRock DJ Tina Saul. Discounted advance weekend tickets are on sale until Friday, May 12, and cost just £23 – that includes show entry, camping and admission to the live evening entertainment. A weekend pass purchased on arrival costs £30. Advance day tickets are also available for £13 per person (£20 on the gate). Previous Post:WIN BIG @ Spidi’s New UK Website!